At Drupal GovCon this week somebody asked me if sponsoring the event was "worth it." I answered yes enthusiastically, and gave two reasons to support my answer. I've thought about it a little further and expanded that to five reasons more broadly relevant to open source camps and conventions in general. I may or may not meet a new client at any particular event. However when attending 8-10 Drupal events a year, I absolutely end up with new clients and new revenue that easily offsets the cost of attendance. However, the straight up fiscal benefits of attendance extend beyond meeting person X and event Y that led to a new client. Organizations that rely on Drupal for mission critical applications want to work with partners that take Drupal seriously. One way to show that is to be a regular at Drupal Camps and DrupalCon. Just being a regular attendee and contributor to the events provides a pretty significant credibility boost. This is not a theoretical thing. The state of Georgia made significant Drupal community involvement a requirement of responding to a RFP earlier this year. The defining feature of any open source product is not the technology, it's the people. Open source thrives or dies based on the community that supports it. Any company that depends on open source has a responsibility to give back to the community. Giving back can come in many forms. If your company is built on open source, all of the above should be your goal. This one should be obvious. If you need to hire open source savvy people you will find no greater concentration of them than at a camp or convention. Likewise, if you are looking for a job in the open source world, the companies you want to work for are the ones participating and sponsoring at the open source events. It's probably impossible to attend a Drupal Camp or DrupalCon and not come out of it smarter. The sessions are led by passionate, generally really smart people sharing interesting ideas and technical solutions to complex problems. Product pitches are usually prohibited, so the presentations are actually useful. And the conversations you end up in on the "hallway track" are often the most interesting of all. Get 25 to 2500 open source advocates together in one place and shenanigans will result. 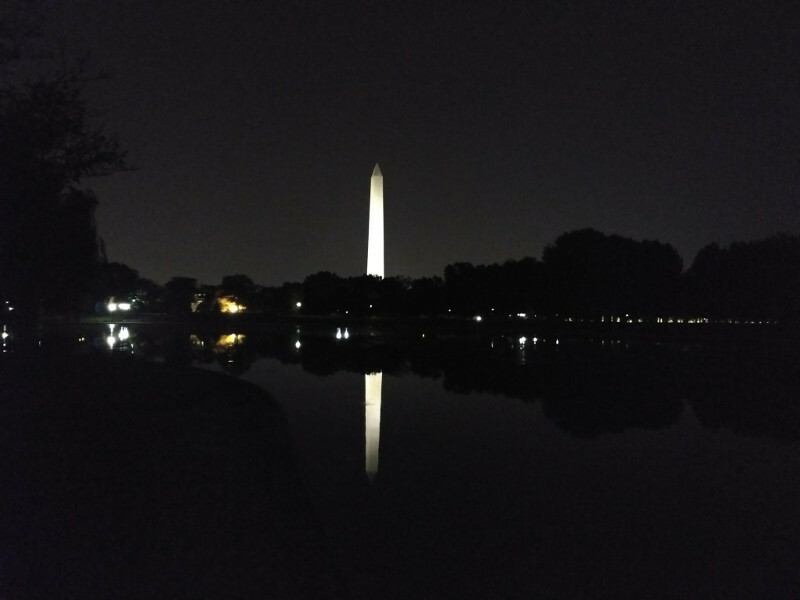 Decorum, and maybe a statute of limitations, prohibits me from going into too much detail here ;) I will say that I took that picture of the Washington Monument above on Thursday night, while out on the Memorial Mall with about a dozen fellow Drupalists. Board game nights, trivia contests, dinner meetups, and coffee exchanges are also regular occurrences. Hey, it's a bonus 6th reason. Oh, the people you'll meet. This should probably be reason #1.